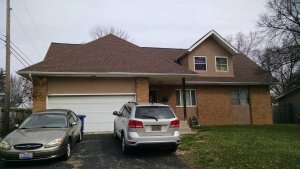 Sell House fast using Central OH house buying process! Get house sold fast, for cash and without making repairs needed to sell the house. If you have any questions or would like more detail on the process. Central OH house buying process enables you to sell your house fast. Central Ohio Real Estate Investment LLC’s buying process for buying unwanted Central OH Properties is simple. We follow a simple 4 step process and use our buying a house process checklist when purchasing a home. The process is handled by a team of state licensed professionals. These professionals make sure every transaction is according to state laws. Let me walk you through a typical transaction when CORI LLC buys a Columbus OH house fast. The simple 4 step process to buy a home starts with a phone call with one of CORI’s Realtors. The phone call will last about 15 to 20 minutes (depending on questions). The Realtor will ask questions to get a better understanding of your home and why you are selling it. CORI LLC’s goal is not just to buy a house. It is to create a win / win situation with every seller, and buy the right house. These questions help us determine how we can help you with your real estate goals. With your goals in mind and your permission. CORI LLC will set up a time to view the property. We must get eyes on the property before we will make an offer on the property. One of our Realtors will visit the property. They will fill out a property report on any repairs needed. We will also take pictures of the house to help us, when making the offer. The Realtor will then do a market research report and determine what the average sales price for that area is. CORI’s Realtors may come to the realization that selling your house to CORI LLC is not the right thing for you to do. If that is the case we will speak to you about the Central OH house buying process and listing it with our broker Ditter & Associates, or explore the idea of selling it yourself (click here for Free Report).Whatever the outcome of the showing is, CORI LLC is here to help you with your goal. Weather it is buying the property from you, or making the introduction to our broker Coldwell Banker. We have the insight to accomplish your goals, and help you with the Central OH house buying process when selling a Columbus property. You are now in contract with CORI LLC and your goal is almost accomplished. Congrats! The title company is now working on getting the history of the property and writing the insurance policy. The proper closing documents are also being prepared. Now is the time to schedule a closing and get you paid$$$$$$. See what the last seller of 1540 Genesee Ave Columbus OH 43211 has to say. I spoke with the title company earlier today, and they confirmed that the deal closed, and that my final closing statement and the check should show up on my porch tomorrow. for getting me out from under the stress of dealing with this property. I feel like someone has lifted a huge weight off my shoulders, and that someone is you!